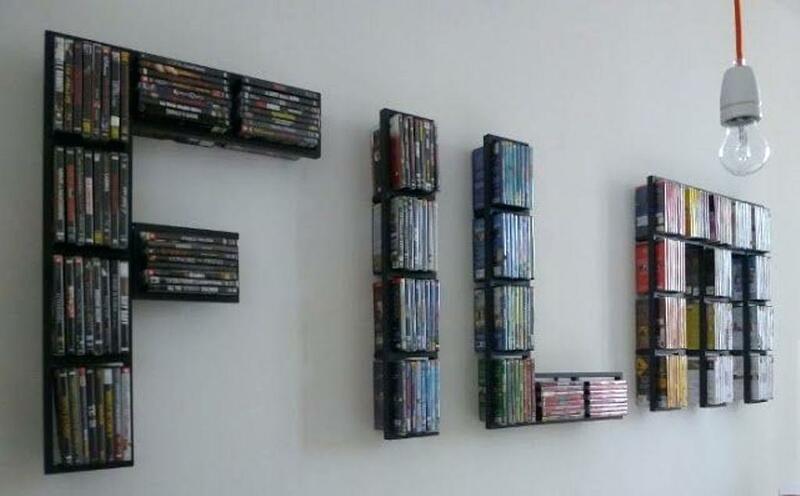 Collecting DVDs can be a good hobby since it also can be the best entertainment for anyone. It can also be great spare time or hanging out with family and friend. Spending time by watching movie with family will be great ideas because sometimes movies can also be a learning material for kids. 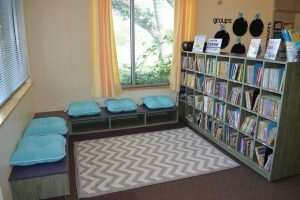 If you have many DVDs at home and you are confused how to store them, you may like these video collection storage ideas. 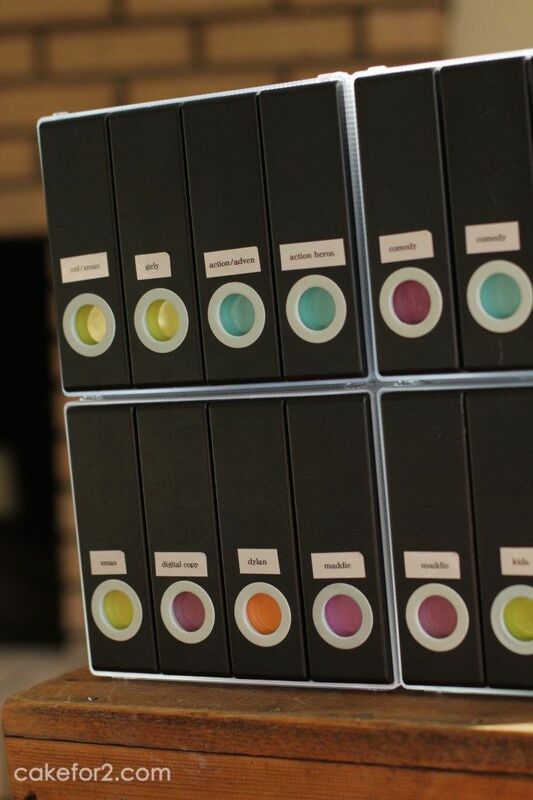 Binder is the best way to keep your DVD in simple place. Binder is also great because it doesn’t need much space yet it can save many DVDs. You can add the labels to differ your DVD and also the spine. To make it easier to find the DVD, you can also make a table of content of each binder. 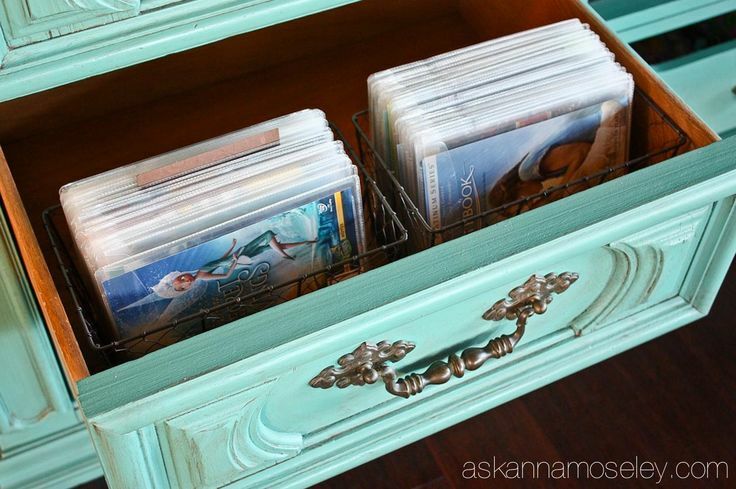 Small or big drawer can also be a good place for your DVD storage. The big drawer can really help you to save many DVDs. If you want to store the DVD in different places, you can use the small drawers. Small drawer can be given label for each drawer to store different DVD. Rattan basket will be good for your DVD storage. It gives a unique and vintage look and also it makes your room looks stunning. 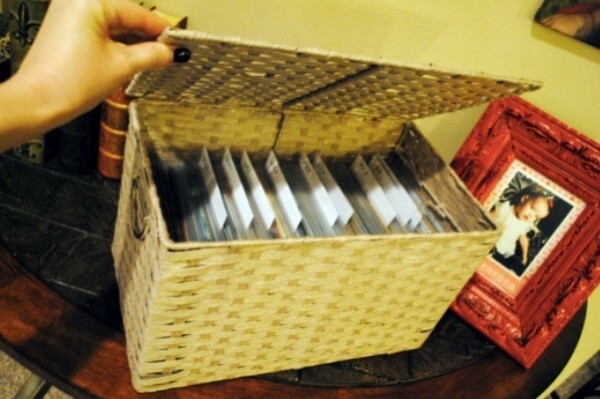 Even though the basket is small and simple, this is really helpful as the DVD keepers. 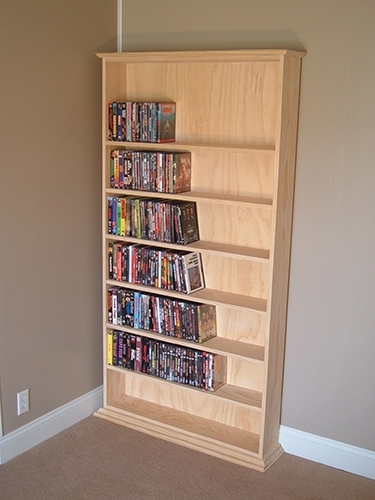 If your DVD collection is really such a big number, you can build a simple wooden shelf. You can put in on the corner or on the wall. Make it as tight as the size of your DVD in order to keep the DVD properly. You can make it as an open shelf so you can easily take the DVD. 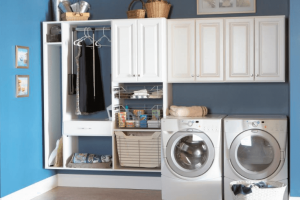 Closet can be the best place to store anything. 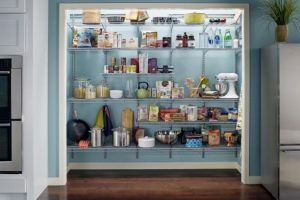 If you want to keep it more functional, you can maximize the closet door by giving the board and make it few rows. You can keep all your DVDs there without needing to make your room messy. There are many DVDs organizer selling by some shops out there. But some of them don’t have a good appearance. So, if you want to use the organizer for keeping the DVD, you can choose the attractive DVD organizer. 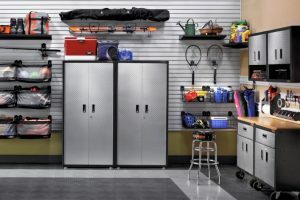 It doesn’t make you bored when seeing at your organizer. 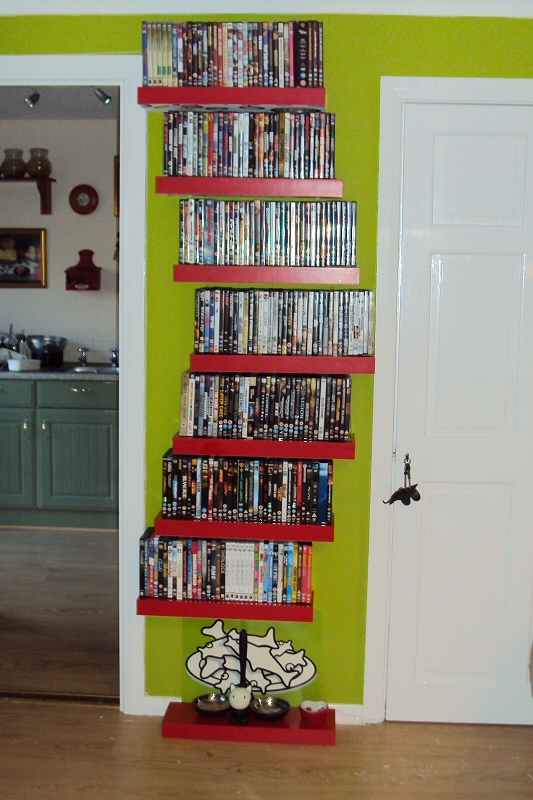 If there is no more space in your home that you can use for keeping your DVD collection, you can build this shelf. 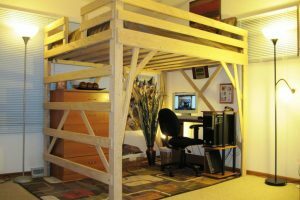 You can put some boards from wood on your wall. This is the best idea yet cheap and easy. 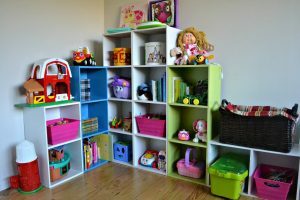 This wall shelving is also useful for keeping another stuff or for home decoration. To make everything easy, you can format all your DVD into hard drive memory. This is the best way yet easiest way because you will not need any places or room to store the DVD. This hard drive will keep all DVD in very smart way.